<*xml:namespace prefix = st1 ns = "urn:schemas-microsoft-com:office:smarttags" /><*xml:namespace prefix = u1 />MADRID, SPAIN. We are pleased to inform you that your EMAIL ADDRESSE has been selected as one of the 38 lucky winners in the email lottery programme conducted by the ONCE LOTERIA on the 30th of November, 2006. The late release of this result was due to difficulties encountered in sorting out mixed up numbers and email addresses. Your e-mail address attached to ticket No: NK/4092/017/82. Result winning numbers 2-5-0-4-9. And Lotto code number: MAD33964BL. Drew Euro 157,894.73 which was first in the 6 category of the draws. You ar e to receive 157,894.73 Euro (One hundred and fifty-seven thousand, eight hundred and ninety-four euro, seventy-three cent only) in cash credited to file REF.MG/904/75296832/SP. This from a total cash prize 6.000.000 Euro (Six Million) shared among the thirty-eight (38) international lucky winners in category "6. Please be informed that due to mix up in cash pay-outs, we ask you to keep your winning Information confidential until your fund (157,894.73 Euro) has been fully remitted to you by our accredited pay-point bank. This measure must be adhered to in order to avoid the loss of your cash prizes, Prize-winners of our cash prizes are advised to adhere to these instructions to forestall the abuse of this program by other participants. It's important to note that this d raws were conducted formally, and winners are selected through a computer balloting system from 900,000,000 individual and companies E-mail addresses, hence, the draws are conducted around the world through our computer balloting system. The promotion is sponsored and promoted by Once Loteria. We congratulate you once again. 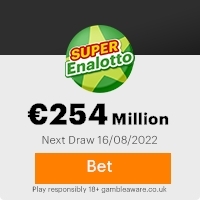 We hope you will use part of it in our Next draws; the jackpot winning is 20 million Euros. Remember, all Winning must be claimed not later than one week after this date. If you do not contact and process your winning prize, all funds will be returned as unclaimed. transferred to your designated account of your choice. To immediately claim your prize, contact the claim/paying bank on the telephone number & email below. <*xml:namespace prefix = u2 /><*xml:namespace prefix = u4 />MADRID, SPAIN. Previous: THE FONDATION DE FRANCE(FDF)Fresh ScamsNext: GET IT NOW. This Email with the Subject "GET IT NOW." was received in one of Scamdex's honeypot email accounts on Sun, 11 Mar 2007 09:16:18 -0700 and has been classified as a Generic Scam Email. The sender shows as "Mrs.Helena Antonio. " <hhelenaant12@web.de>, although that address was probably spoofed. We recommend that you do not attempt to contact any persons or organizations referenced in this email, as you may expose yourself to scammers and, at the very least, you will be added to their email address lists for spam purposes.